Model of the most influential tank design in history. Features suspension, drive and steering, 360º turret traverse, main gun’s elevation, opening driver’s compartment with seat and automatically moving levers, opening engine compartment and custom stickers. 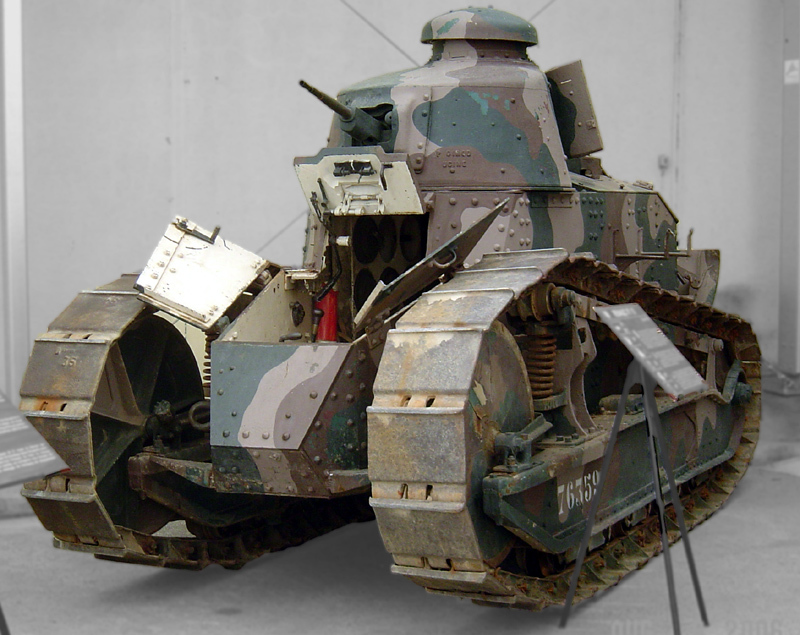 Renault FT-17 is commonly known as a historical breakthrough and the first modern tank. 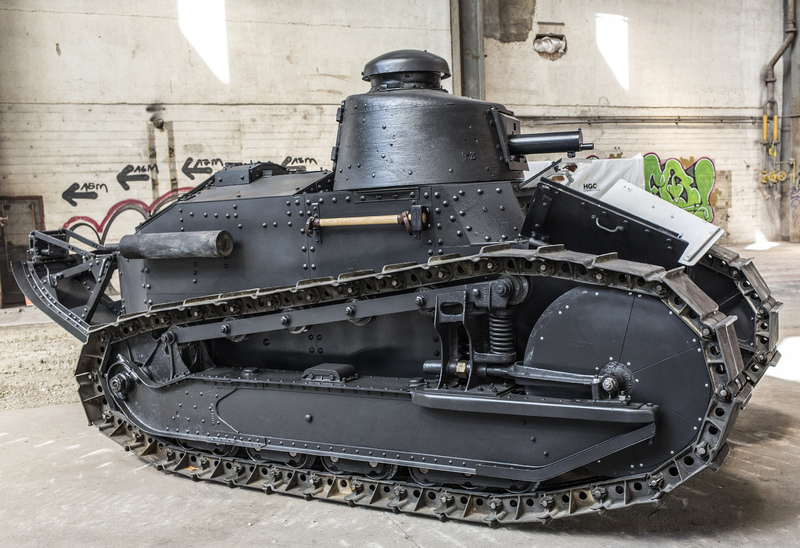 A 100 years ago, when most armies saw tanks as “land ships” and created odd contraptions full of weird shapes, guns facing in all directions, and requiring a dozen or more people to man them, Renault chose to design something simple and effective. 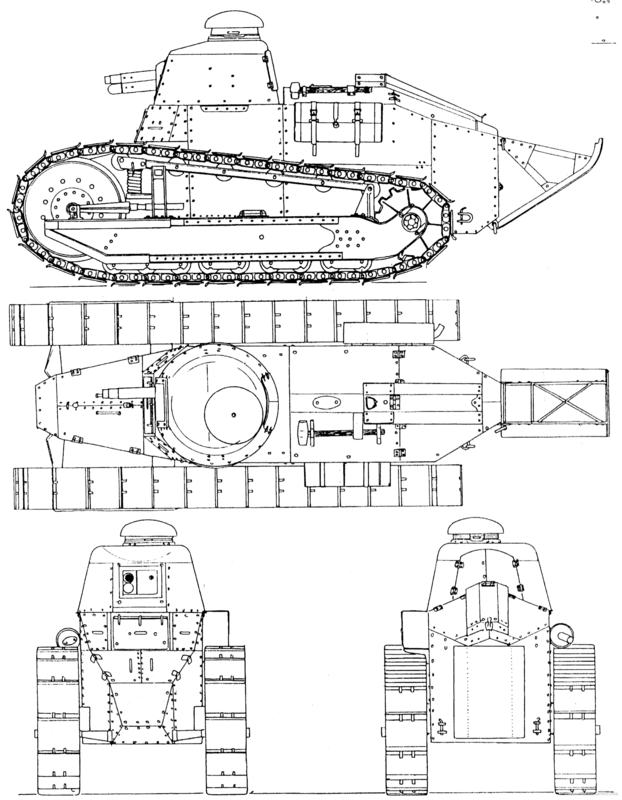 The resulting light tank had a crew of just two, and its arrangement – engine in the back, driver in the front, combat compartment in the middle with armament located in a 360º traversing turret – has become the staple of almost every single modern tank. 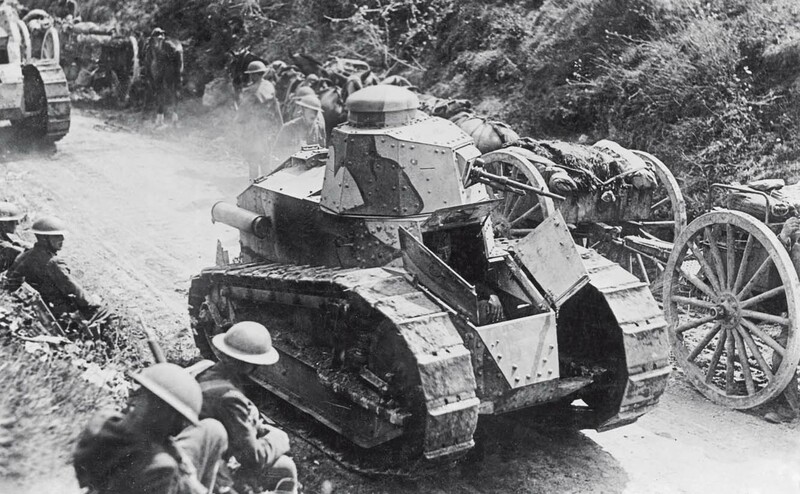 It was the perfect form for a tank, and despite being a light tank, with thin armor and modest firepower, the FT-17 was so successful than other countries copied it in hundreds, and even the original tank served in 28 different armies, fighting in 10 separate wars over a period of 30 years. 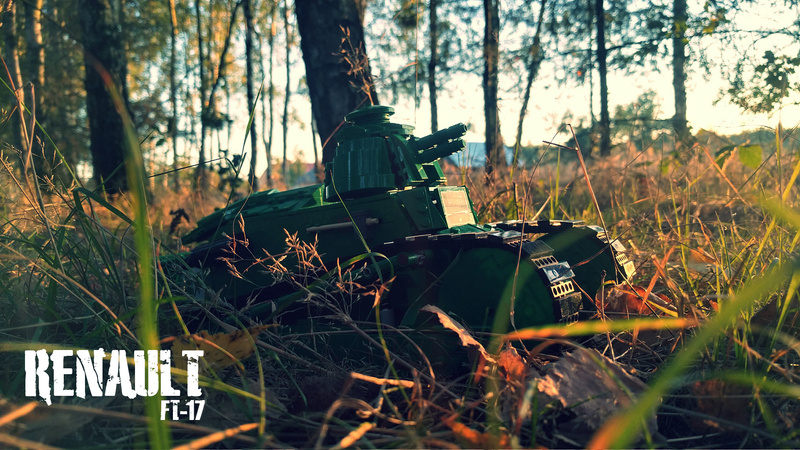 As a result, the FT-17 is obviously highly popular with LEGO builders, but there are very few motorized versions and very few large-scale versions. It is also a difficult tank to get right due to its somewhat extreme proportions (very narrow hull and tracks, huge front sprockets). I’ve become interested in building it because I’ve been sick of dark bluish grey tanks since some time. I wanted a change, and when trying out pieces that could possibly form a realistic FT-17’s wheels system, I have arrived at conclusion that the best solution would be to use a 8×8 round tile in front and a 40-teeth gear in the back. Neither of these pieces comes in dark bluish gray. They both come in light bluish gray, but I’ve built tanks in that color already. 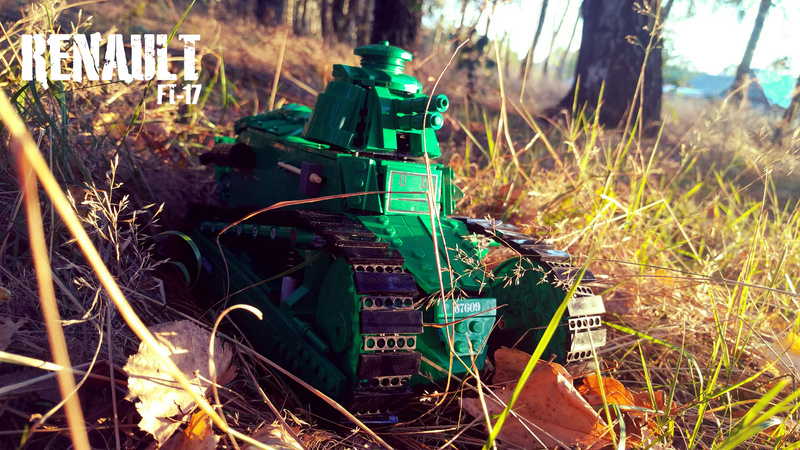 They also both come in regular green, which – while not as fitting for a tank as dark green or olive or sand green – seemed common enough to let me build an entire tank in it. It was obviously difficult to build almost exclusively in green, because some basic pieces were non-existent, some proved extremely costly, and thanks to the Bricklink I was able to get a few pieces in colors that don’t officially exist (e.g. 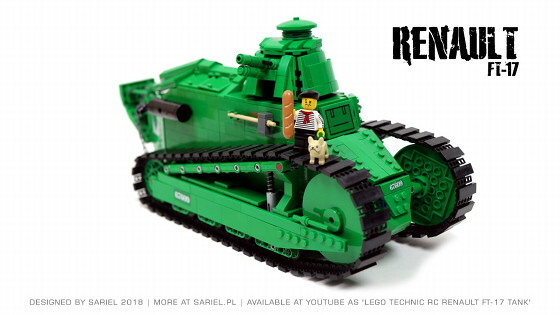 green wedge belt wheels, green 6019 pieces and tank 4095 pieces). Another difficulty were the shapes of the real tank, with some tapering sections whose angles were simply much more subtle than shapes of any LEGO pieces. This was especially true for the glacis plate, whose front section should narrow from 4 to 3 studs. Unfortunately, until such time that LEGO introduces half-stud wedge plates, builders are forced to improvise. It was also difficult to build a functional tank with 4 motors with only 6 studs wide space to build in, because that was the inner width of the hull. Thanks to using the SBrick, the LEOG 8878 battery and thanks to stuffing things creatively (e.g. making hollows in the walls with LEGO panels for the wires to go inside) I was able not only to fit everything in, but also to leave some room in front, thus creating an opening driver’s compartment with a sear and two levers that were coupled with the drive motors so that they moved just as if the driver was moving them: the left lever moved forward when the left track drove forward, and so on. Out of many challenges, I was really proud of one: the opening upper glacis plate. 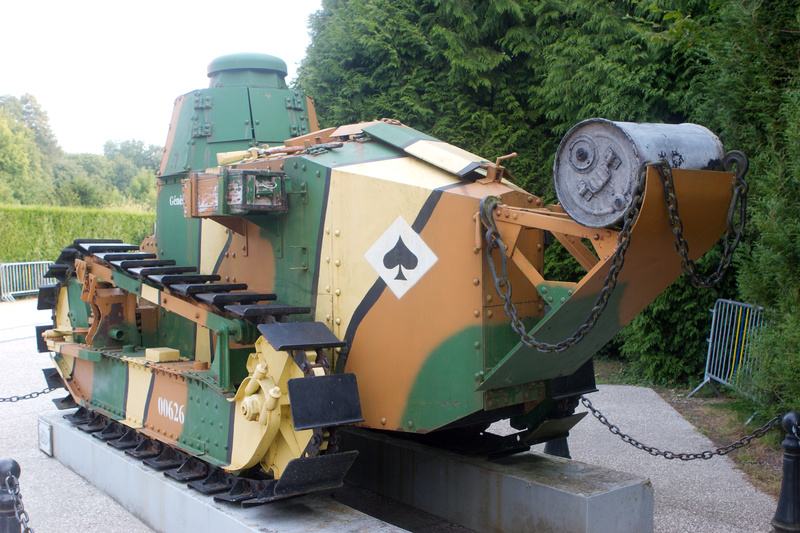 Just like in the real tank, it was made of two halves, each opening to the side on a complex, compact hinge tilted in two planes (thanks to the use of this unique piece). The downside of such complex hinges was making the hull’s front sides a bit ugly, but I really, really wanted the glacis plate to open up just like it did in the real tank. The model was somewhat paradoxical, because it was small and very compact, but actually built at a relatively large scale – this was because the real FT-17 is just so small. I was unable to achieve some of my goals, such as creating realistic tracks (which would need to be built with 2×3 tiles hinged together somehow) or starting the battery with a crank in the back, just like the real tank’s engine (not enough room to add crank or put the battery in required position), but I was also able to add some extra features, such as the engine compartment, which is really just a handful of details sitting right on top of the SBrick and a whole lot of cables). Obviously, the tank would look much better in dark green or sand/olive green, but given how toy-like the real FT-17 looks and how weird were some WW1 tank camouflages (see below), I think green is passable. The markings, including numbers, unit marking and the “Mars” nickname, were based on a Polish FT-17 which was used in WW2, lost, and then miraculously found in Afghanistan a few years ago, and which has been restored to running order (sadly, I was unable to locate which museum currently displays it, so it isn’t shown in my video). To sum it up, the model was one of the most challenging in my experience so far, but I have enjoyed it tremendously and I felt like I have achieved a good balance between looks and functions. 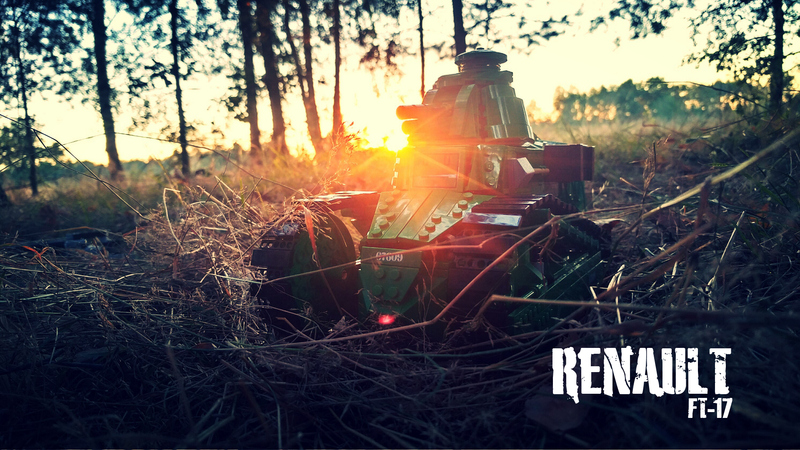 It was also a good lesson in building tight, in putting pieces together at some really weird angles, at being patient with Bricklink orders and how much they cost, and it taught me to be wary of squirrels while filming in a forest, because they can run away with your LEGO pieces.